Lions Club of Russel, 2008–2009 Executive. 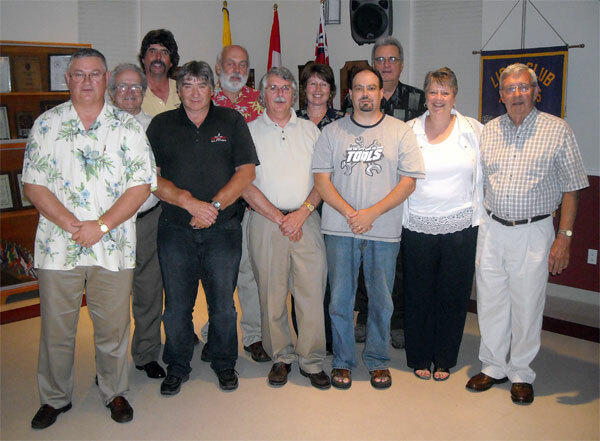 Front: Lion Peter Marr – Past President; Lion Ted Morrison – 2nd Vice President; Lion Peter Cowling – Treasurer; Lion Marc Bourque – Lion Tamer; Lion Kelly Woodcock – 2-Year Director; Lion Jack McLaren – Membership Chairman. Back: Lion Bill Rankin – First Vice President; Lion Henry Staal – President; Lion Peter Vandie – Secretary; Lion Mary Chartrand – 1-year Director; Lion Gord Saunders – Tail Twister. Not Present: Lion Denis Poirier – 1-year Director; Lion Frank Thompson – 2 - Year Director; Lion Julius Toth – Bulletin Editor.